Thank you Bitnami for handling the server side setup so I can focus on the content, delivery and customer experience! Bitnami helped me break free from expensive hosting companies and operate in AWS with full control. After daring to do a full "line-by-line" Moodle install, I realized how many hours and keystrokes Bitnami saves me every year and wanted to write this review to support Bitnami in continuing to offer their sleek and secure AMIs! I'm the guy who could upgrade my server to the next version of PHP, but will serenely wait for Bitnami to do it (and other upgrades) and press the easy button every summer. Thank you, Bitnami! Been using bitnami moodle since 2012. Been flawless and great for our live system but also to launch test sites. 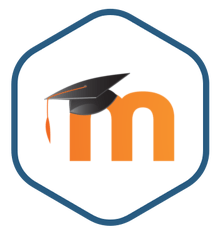 How useful about Moodle powered by Bitnami? 2. compare cost the 2 case? It works very well. You can set your moodle quickly and easily. Don't forget to allow the access to your dns in aws panel after installing bitnami moodle. Very easy to install and configure. We qre just getting started with our LMS and Moodle has allowed no tech folks to setup, post content and more. Thank you Bitname and AWS teams! Few minutes and the server is operacional. The installation was super smooth and real fast. We have been testing it for two weeks and have not found any major issues yet. It has been well prepared by bitnami. Thx. This is regarding Andrew's comment. You contacted us looking for support for a free AMI. We literally have hundreds of thousands of people coming each month to the website to download and use our application packages. Unfortunately, that means that we cannot offer free, one on one support. We redirected you to our forums, and we would have tried to help you there. We have checked and we are unable to locate a post by you. We cannot help if we don't know what the exact problem is. In any case, if you want one on one support, Moodle is a popular open source package and in the Moodle web site you will find many consultants and firms willing to provide you with one on one commercial support.